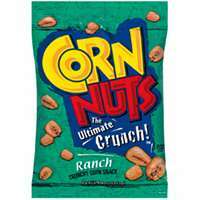 Combines bold taste, great crunch and good fun. 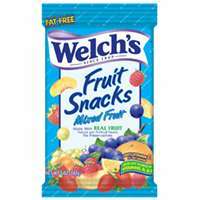 Mix contains six classic snacks -- there's something for everyone! 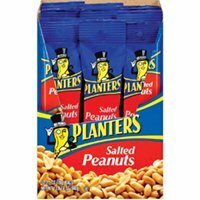 Take 'em along for picnics, lunches or munching. 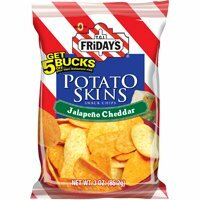 Food Type: Snack; Flavor: Lays� Classic; Doritos� Nacho Cheese; Cheetos� Original; Fritos� Original; Lays� BBQ; Doritos� Cool Ranch; Capacity (Weight): 1.5 oz; 2 oz; Packing Type: Box. 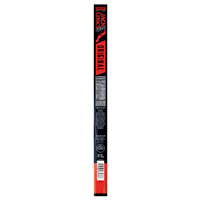 Choose all-natural, non-GMO healthy bars to feed your family, made with gluten free grains. Healthy grains granola bars are made from ingredients you can see and pronounce. 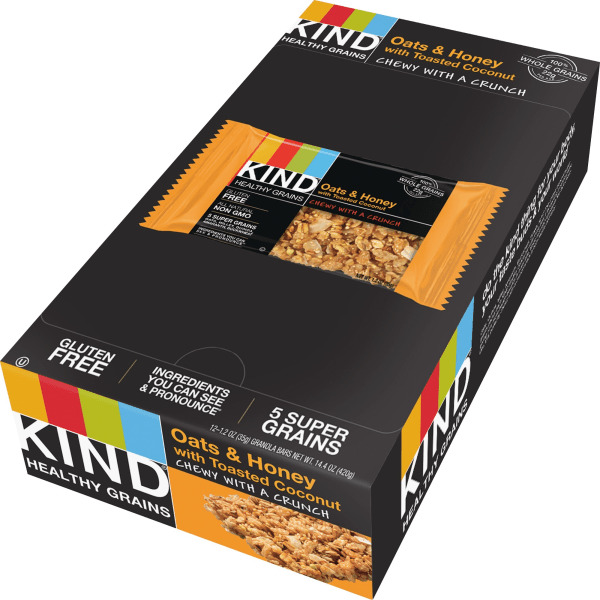 Each bar packs more than one full serving of whole grains which provides fiber and protein. Baked from a good-for-you foundation of supergrains; Millet, Quinoa, Buckwheat and Amaranth. 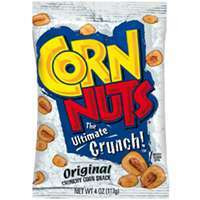 Perfectly chewy-with-a-crunch bars provide a tasty anytime snack. 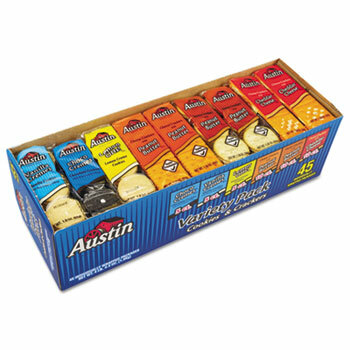 A variety of delicious flavorings means there's a tasty bar for everyone. 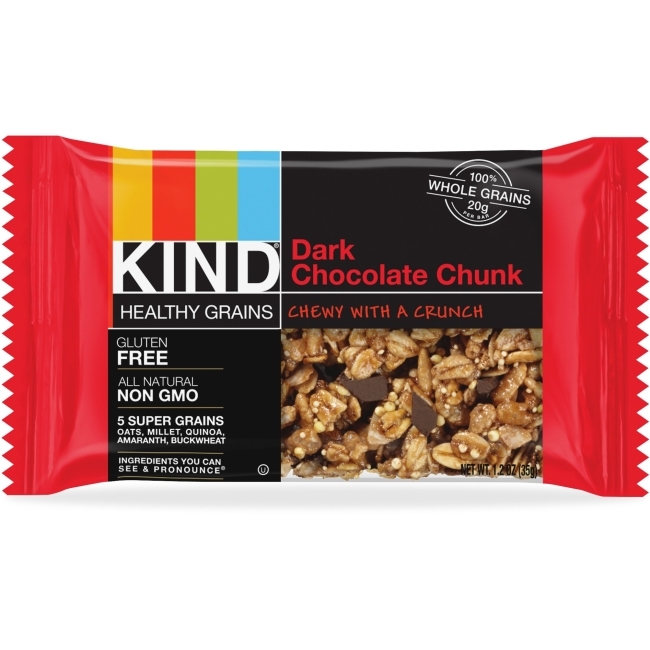 Food Type: Snack Bar; Flavor: Dark Chocolate Chunk; Capacity (Weight): 1.2 oz; Packing Type: Bar. 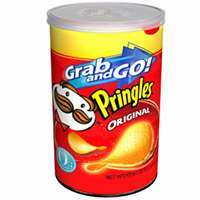 Six individual serving cups per pack. 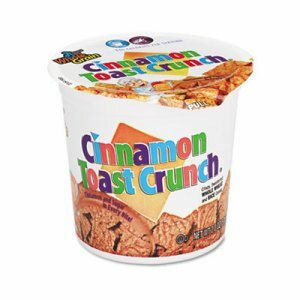 Food Type: Breakfast Cereal; Flavor: Cinnamon Toast Crunch�; Capacity (Weight): 2 oz; Packing Type: Cup. 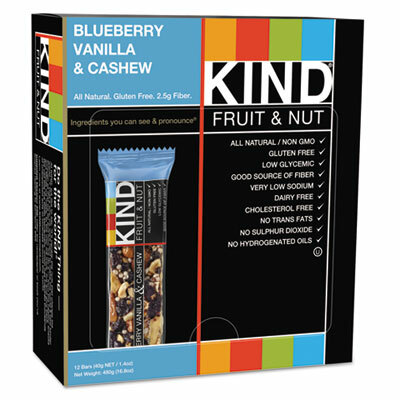 Choose all-natural, non-GMO healthy bars to feed your family, made with gluten free grains. Healthy grains granola bars are made from ingredients you can see and pronounce. 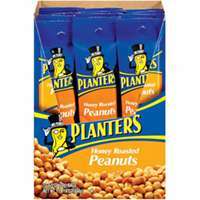 Each bar packs more than one full serving of whole grains which provides fiber and protein. Baked from a good-for-you foundation of supergrains; Millet, Quinoa, Buckwheat and Amaranth. Perfectly chewy-with-a-crunch bars provide a tasty anytime snack. 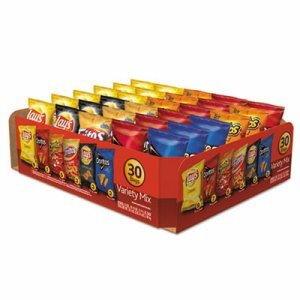 A variety of delicious flavorings means there's a tasty bar for everyone. 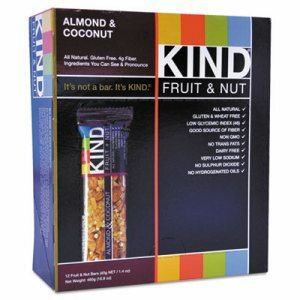 Food Type: Snack Bar; Flavor: Oats & Honey with Toasted Coconut; Capacity (Weight): 1.2 oz; Packing Type: Bar. 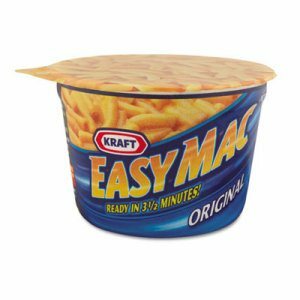 Lunch just got easier with this delicious and convenient alternative to the classic mac 'n cheese. 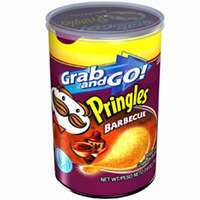 Cooks in minutes and comes in ready-to-serve microwaveable cup. 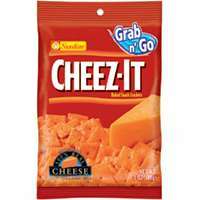 Food Type: Lunch; Flavor: Original; Capacity (Weight): 2 oz; Packing Type: Cup. 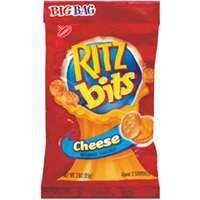 All of your favorite varieties of sweet and salty, crunchy mini snack packs to brighten up your day. 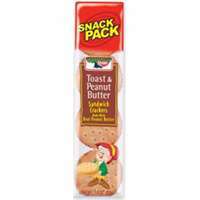 Convenient mini snack packs of treats are great for toting along in backpacks, pockets and purses. 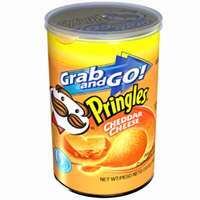 Ideal for packing in school lunches or simply munching on the go. 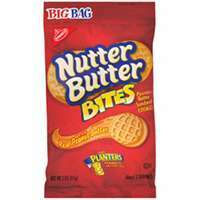 Food Type: Cookies; Flavor: Choco Cremes, Vanilla Cremes, Lemon Ohs!, Cheese Crackers w/Cheese, Cheese Crackers w/Peanut Butter, Toasty Crackers w/Peanut Butter; Capacity (Weight): 1.38 oz; Packing Type: Pack. Add some crunchy sweetness to your day, with classic chocolate-and-cream sandwich cookies. 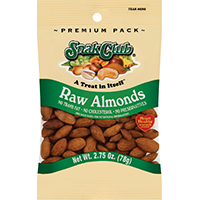 Convenient single-serve packs are a great fit for purses and backpacks. 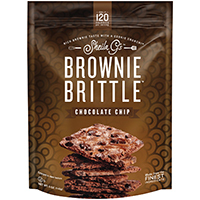 Enjoy this sweet treat any time�perfect for an after-school snack or a midday pick-me-up. 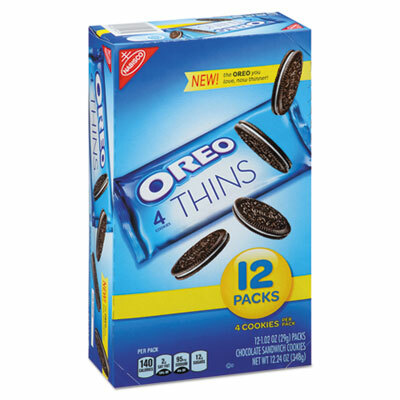 The same Oreo� cookies you love, but thinner�all the pleasure without the guilt. 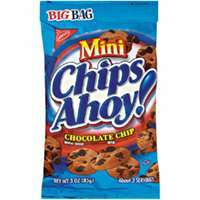 Food Type: Cookie; Flavor: Chocolate; Capacity (Weight): 1.02 oz; Packing Type: Pack. 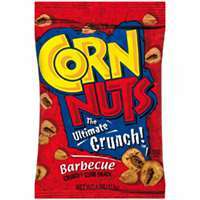 An all-natural, satisfying union of chewy dried fruit and crunchy whole nuts. Made from ingredients you can see and pronounce. 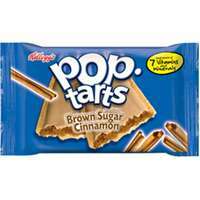 Each bar is packed with protein and contains no cholesterol. 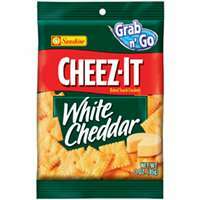 Gluten free product. 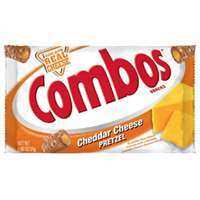 Available in a variety of delicious flavor combinations. 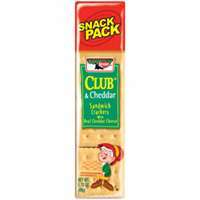 Food Type: Snack Bar; Flavor: Blueberry Vanilla & Cashew; Capacity (Weight): 1.4 oz; Packing Type: Bar. 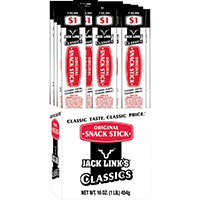 JACK LINK'S ORIGINAL WILD STICK SNACKS Original Wild Sticks conquer hunger with 5 grams of protein per serving with a bold flavor At only 150 calories, these sticks are the - perfect portable protein snack Made with pork, beef and chicken 12177 1OZ ORIG WILD STICK SIZE:1 Oz.